Asus ZenFone Go 6.9 (ZB690KG) Lands In PH For PHP 4995! 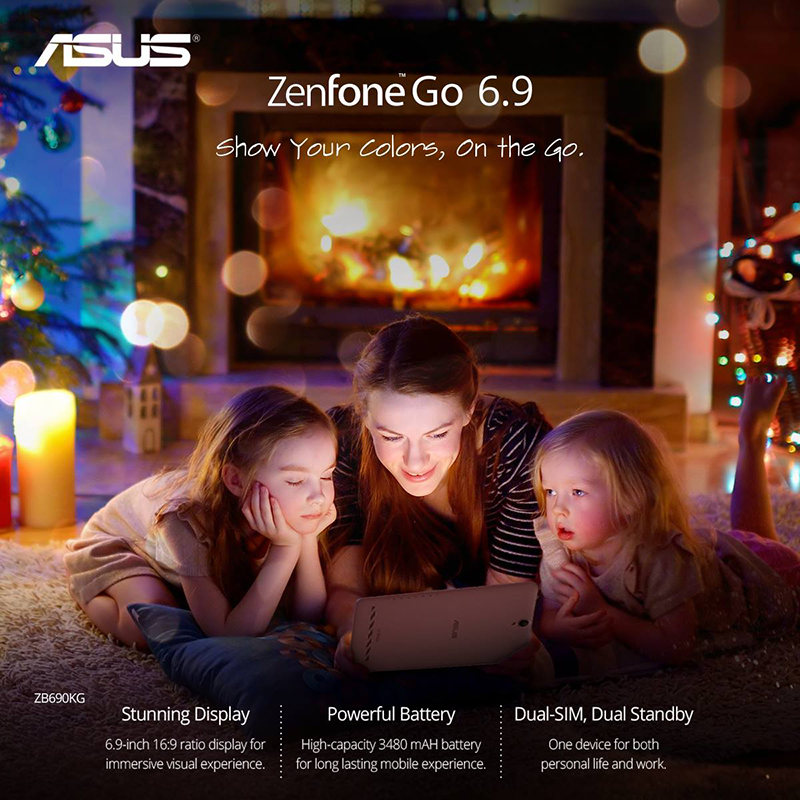 Home / asus / mobile / news / Asus ZenFone Go 6.9 (ZB690KG) Lands In PH For PHP 4995! Few days back, Asus officially launched the ZenFone Go 6.9(ZB690KG) in the Philippines. It's a smartphone with close to a tablet screen size display. To be more precise, the Asus ZenFone Go 6.9 (ZB690KG) boast a metallic like body with 6.9 Inch WSVGA screen w/ 10 points of touch. It's powered with Qualcomm's Snapdragon 200 quad core processor, Adreno 304 GPU, 1 GB of RAM, 8 GB of expandable storage, and 3,480 mAh of battery capacity. Related: Asus Zenfone Go 5 (ZB500KG) Lands In PH For PHP 3995! The device also has an 8 MP f/2.0 main camera, 5 MP selfie camera, 3G connectivity, Bluetooth 4.0, and dual SIM card slot. The best part here is this phablet is priced at just PHP 4,995! That makes it a good present this Holiday season for everyone who wants a big screened phone.